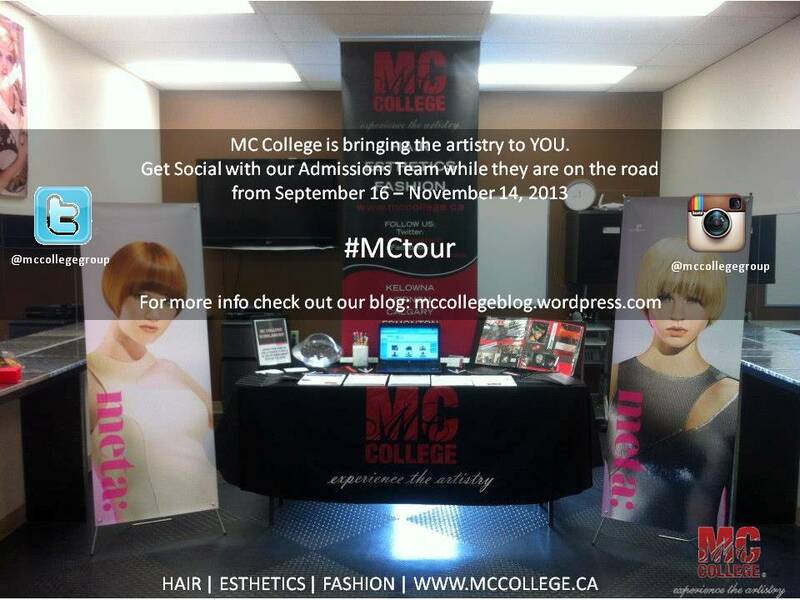 MC College is on the Road! For ten weeks, our Admissions Team will be bringing the artistry to you. They will be travelling to high schools all over Alberta and parts of BC as a part of the ELAA tour! They will tell you all about our Hairstyling, Esthetics and Fashion programs! Want to know what Nikki, Ashley, Cailey, Charlotte and Danai will up to? Be sure to follow them on Twitter and Instagram with the tag #MCtour. To see when they’ll be visiting your school, check out the 2013 ELAA Schedule!